Learn about the benefits of Invisalign from your Bedford dentist. 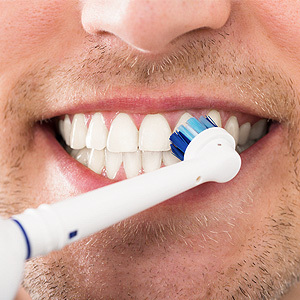 Would you like to straighten your teeth but hate the thought of giving up some of your favorite foods? When you choose the Invisalign brace system, you can eat anything you want. Dr. Nicholas Papapetros, Dr. Leo Kharin and Dr. Jessica Ristuccia, your Bedord, MA dentists at Great Meadows Dental Group, explain how you can benefit from Invisalign. 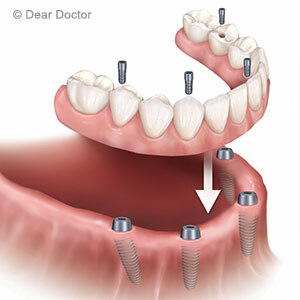 Traditional brace systems use a system of wires and bracket to reposition your teeth. Adjusting the wires every four to six weeks gradually moves the teeth into alignment. Although the system is an effective way to realign your teeth, you must wear the wires and brackets for the entire treatment period, which can be as long as two years or longer. The Invisalign system doesn't use wires and brackets. Instead, you'll wear a series of removable aligner trays. Since the aligners are clear, no one may even notice that you are straightening your teeth. Every two weeks, you'll replace your trays with a new set. If you've ever eaten with a friend who has braces, you may have noticed that they may have had to pass up some foods. Hard foods, like carrots and apples, can break wires and must be cut up into small pieces, cooked or avoided if you wear traditional braces. There are no limitations with Invisalign. Since you'll remove your aligners when you eat, you can continue to enjoy all of your favorite foods. There's no need to give up popcorn, gum or other foods that can cause problems when your mouth is full of wires. Navigating wires and brackets requires extra effort. If you aren't careful, food can become stuck in your braces, which can increase your risk of developing a cavity. When you wear Invisalign aligner trays, you'll simply pop out your trays and floss and brush as usual. It's never been easier to straighten your teeth, thanks to Invisalign. If you would like to find out if you're a good candidate for Invisalign, call Dr. Papapetros, Dr. Kharin and Dr. Ristuccia, your Bedford, MA dentists at Great Meadows Dental Group, at (781) 275-7707 to schedule an appointment. Improve your smile without giving up your favorite foods!